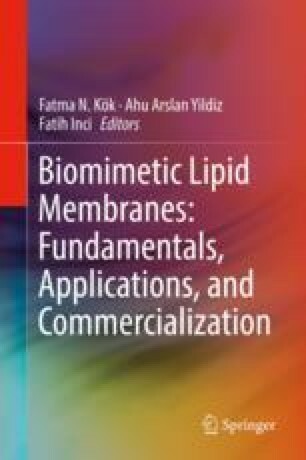 The cellular membrane is a highly complex and sophisticated biological architecture that hosts a vast repertoire of biological machinery. This machinery is essential for many vital processes, from nutrient import to cell-cell communication and sensory detection including touch, taste, smell, vision and auditory signals. Therefore, the cellular membrane hosts a vast number of receptors that are highly specific for signaling molecules, hormones and receptors that detect various elements in the cellular surrounding that affect the functioning of the cell .